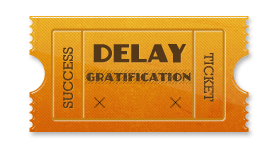 One of the greatest key success factors is being able to delay gratification. 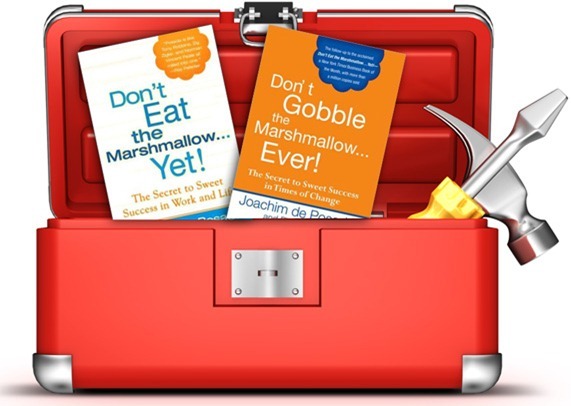 When you are able to put aside today’s baubles for tomorrow’s treasure, real success can come. While this may sound foolish at times, research has found that those people who are able to put aside a small gain today, for a much larger one tomorrow, are clearly more successful in life. “The chief cause of failure and unhappiness is trading what you want most for what you want right now.” ~ Zig Ziglar. Back in 1964, researchers at Stanford University did a simple experiment with 4-year-old kids. They were put into a room by themselves and a plate with one marshmallow was placed in front of them. They were given a choice. If they could wait 15 minutes, they could have two marshmallows, otherwise, they could ring a bell and eat the existing marshmallow. Most kids lasted about 3 or 4 minutes before they gave in. In ongoing research, those kids that were able to wait were found to be much more successful than their counterparts in SAT scores and job success, than those students that were unable to delay gratification. When looking at key success factors, always consider the long term ramifications. Eating the marshmallow now may make that feast later, impossible. Question: How have you done at delaying gratification? This Simple Motivational Graph Made Goal Setting Click!